Ah, sequels. In this case, horror sequels. Who cares, right? They’re just as common as all the superhero sequels nowadays, and have been coming consistently for longer. If there’s either a concept, a place, a character, or more specifically, an antagonist, there’s enough to keep bringing it back, because horror movies have audience and they are somewhat easy to make (especially if the budget is higher). It doesn’t matter if the first was not good (hell, since when does it matter? ): There’ll always be someone in a slumber party with Netflix (saying DVD feels anachronic these days), or at a movie theatre on Friday night to watch it, especially now that most horror movies are PG-13, instead of the old R days. 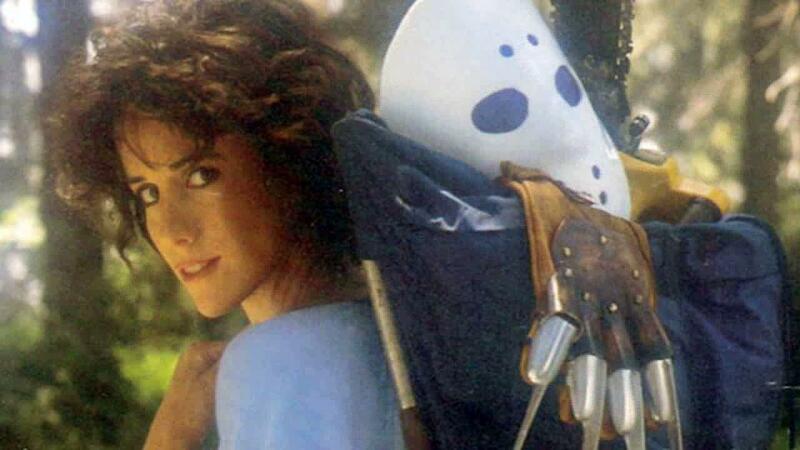 But here’s a list of horror sequels that deserve some of your time, for one or many reasons. Not all are exactly good, but all have something worthwhile. This is not a ranking, although the best was left for last. This is not a regular horror sequels list, so famous movies such as like Evil Dead II + Army of Darkness, Aliens, Dawn of the Dead + Day of the Dead, Bride of Frankenstein, Devil’s Rejects, 28 Weeks Later, Scream II, Paranormal Activity 3, Hellraiser II, Exorcist III Texas Chainsaw Massacre II etc. etc. etc., were not included, either because they’re well known to be good or because they’re not good at all, even if they’re famous. The focus here are the ones most people don’t talk about. And no, no Troll 2 here. But you should definitely watch it, it’s great. This is the american sequel, not the japanese sequel to Ju-On: The Grudge (and not to be confused with Ju-On: The Curse that came before), all directed by Takashi Shimizu. What makes this one stand out is the Chicago family’s subplot, that seems unrelated to the rest at first. So, if you’re familiar with the Japanese version, it might be weird that the movie begins with this supposedly random american couple having a argument, the husband yelling at his wife that remains silent while she’s cooking him breakfast, and culminates with her throwing boiling oil in his head, killing him. What does it have to do with Ju-On? Who are these people? It’s such a strange scene, because you know they’re connected to the curse somehow, you just don’t know in what way. And it’s the scene before the credits. And that’s what makes this charming, even if the movie is not exactly good. The idea that the evil within this film’s universe exists not only for the people near the haunted house, but outside that, in another place, with completely disconnected people, is quite scary. The fake interviews with the actors released after the movie reinforces this idea, as if the actors themselves were plagued by the grudgeful spirit – if you haven’t watched them, check them out. Definitely worth it. The whole Wrong Turn franchise is bad, just another generic “bunch of dumb teens in an isolated place, can’t get out, and someone/something is killing them one by one” slasher film that went on to have too many sequels for no real reason – but if you have to pick one to see, make it this one. 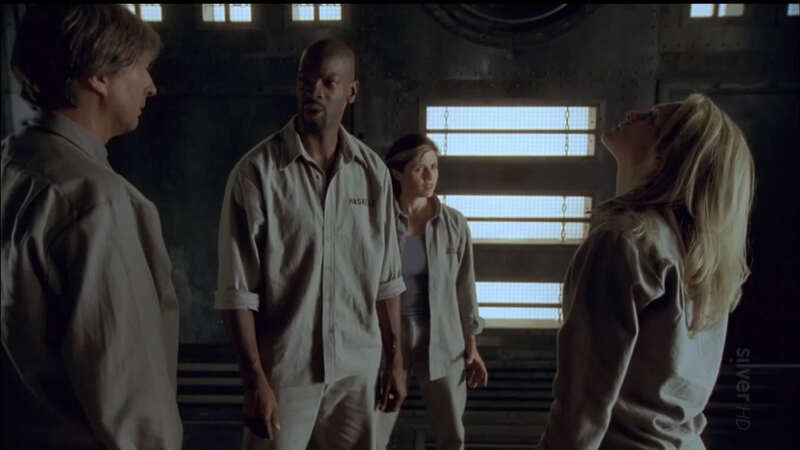 Being a prequel, it’s the one which develops the “monsters”, even if only a little: the first scene, shows the three cannibal brothers locked in some insane asylum, defended by a psychiatrist that believes they can be helped, only to be brutally murdered when they escape, showing their cruel nature, their complete incapacity of sympathy. Another scene worth mentioning is when, after killing someone, they use the body to make fondue. It might seem like nothing, but in a time where movie kills rarely escape of the old routine of “gouging eyes, knife in certain body places” or too elaborate schemes that make no sense at all (I Spit On Your Grave remake, anyone? ), an extra like this just elevates it, even if only a little. There’ll be spoilers in this one, so if you haven’t watched The Fly, the original The Fly or The Fly 2, skip this. But know that the sequel is good. 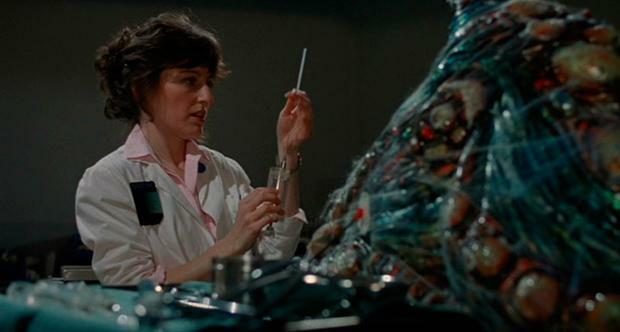 Both Cronenberg’s The Fly and the original movie are tragedies in their own way: while the original ends with the main character trapped in a spider web, screaming in agony for his fate, the remake ends tragically with Jeff Goldblum begging to be killed by the woman she loves (and that loves him back). And in a way, The Fly II has that, it’s also a tragedy. Not only because it shows their son, the one who suffers so much in the first movie, and how he has to deal with WHAT he is without even wanting it, but how the lack of a father figure affects him. He naturally turns to the doctor that takes care of him, who gains his trust but ultimately is only using him. This theme of fatherhood makes itself obvious at the end, with the discovery of the password, and it emerges as the movie’s central theme. It’s tragic, and gives the characters more depth. It’s still not a great film, but for a sequel, considered by most to be just a cash grab, it keeps the mood Cronenberg understood so well in the original version. Mimic 3 is the case of movie so aware of what it is that just does something completely unexpected and new, because, for most part, no one would watch it, so there’d be nothing to lose. Mimic was not a very good movie (even Guillermo del Toro disowned it), part 2 was even worse. With the exception of the ending, it was a dumb repetition of the first. No one cared about it, so what could be done for Mimic 3? Just ignore it’s a sequel and come with something new, completely different from the others, but maintaining the main theme. It’s a thriller, instead of a horror, introducing a boy, one of the victims of the Strickler’s disease of the first movie, who spends all his time taking pictures of his neighbors, until he finds something weird going on. Yes, it’s Hitchcock’s Rear Window, but instead of witnessing what he thinks is a murder, we have giant bugs… apparently murdering everybody. It got a slow pace, and not much really happens, and it’s not so well directed or scary, although there are a few good moments, but its humorless self-awareness is somewhat refreshing, especially for a franchise that was never good to begin with. It’s easily the best one of all. 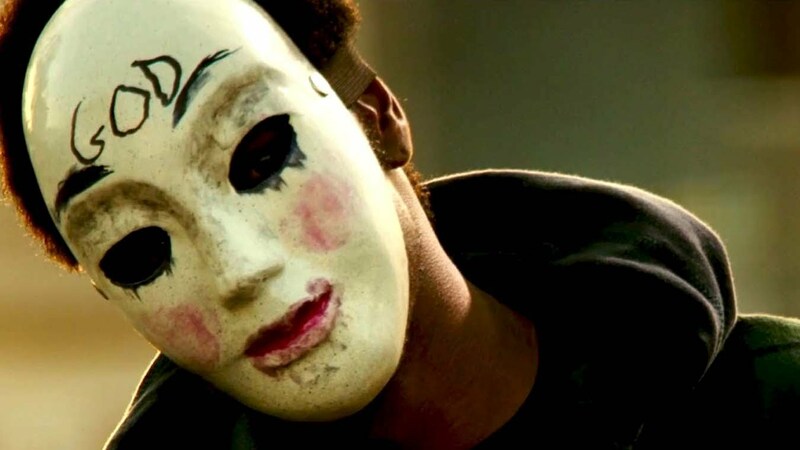 The first Purge felt like an incomplete movie, it had an interesting concept, that to end crime and violence, the solution would be one night a year when all crime is legal, but fell flat with a lazy execution and a cliched ending. The second movie adds a political context that feels very appropriate and goes beyond the obvious debate whether the purging is indeed the answer: for who exactly is the Purge? If everyone out wants to commit crimes as a form of purge, who and where are the victims? These discussions are much more present here than in the first. Also worth mentioning is a great (and long) sequence inside a family’s house at the middle of the film. Sleepaway Camp became a cult some time after its release, mostly due to its shocking ending, one of the best of the genre, even if the movie itself is not one of the best. But for a while, nobody seemed to care about it. The second works mainly for its absurdity, in that it’s a bit like “Texas Chainsaw Massacre 2”, that went from horror to comedy. The main character is a woman working as counselor at a summer camp, that’ll do anything to keep things in order, even if that means killing those who misbehave even slightly. It’s great seeing that character, with such a happy grin in her face and happy attitude towards life, while destroying somebody’s face while doing it. 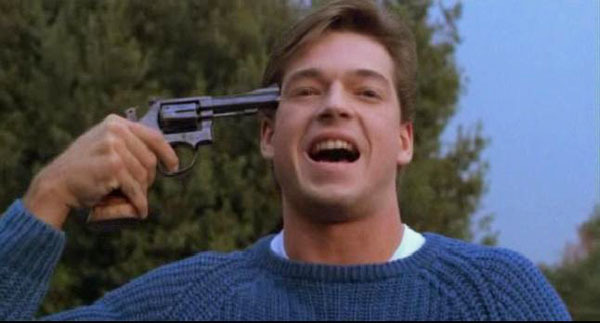 Some people thought it was even disrespectful to the first movie’s feel, but remember: the first movie was already kind of ridiculous, and if “so bad it’s good” is considered good nowadays, Sleepaway Camp I and II did it the right way. And talking about doing “so bad it’s good” right, this one is famous. The line “Garbage Day!” has become an internet meme, and that’s not even the best line in the movie. There are several moments like this. Keep in mind that the movie is terrible, but it’s amazing at being terrible. The comedy comes from the conditions the movie was made (not enough time, not enough money), with half of it being footage of the first film, which ultimately just helps the movie. Also, there’s Eric Freeman’s performance as the main character. He’s so over-the-top it almost feels like he’s doing it on purpose. “Almost”. That’s what separates Silent NIght Deadly Night 2 from “Sharknado”, “WolfCop” or “Birdemic”: Freeman didn’t do it because he thought it was bad and therefore funny, he did it because he thought he was great. And it’s still better than Danny Wagner’s almost catatonic performance in the first movie. The third part should be even better: It was directed by Monte Hellman, who considers it to be his best, it has Bill Moseley wearing a brain dome and an awesome opening scene. Unfortunately, it takes itself way too seriously, and all kills are offscreen. The comedy is gone, but also is most of the violence. “Cube” was a minor cult in the late 90s, it’s a canadian flick where a group of people, unknown to each other, wake up inside a cube with doors in each side, without knowing how they got there. The doors lead to other cubes, and some of them have traps, some don’t. It’s a very inventive premise, but poorly executed for most part. The second tried “upgrading” it unsuccessfully. This third movie is interesting because it presents the people behind this structure, but leaves us still with very few answers. We see one small part of a hierarchy we never fully understand, and maybe we don’t have to.